Life from a working Pomeranian's point of view. Specializing in pet product information. 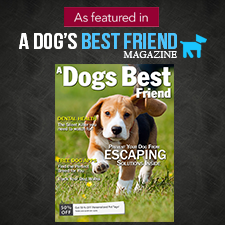 Also featuring Pepper's adventures, dog lifestyle tips, and general service dog information. Are you ready for Summer vacation? 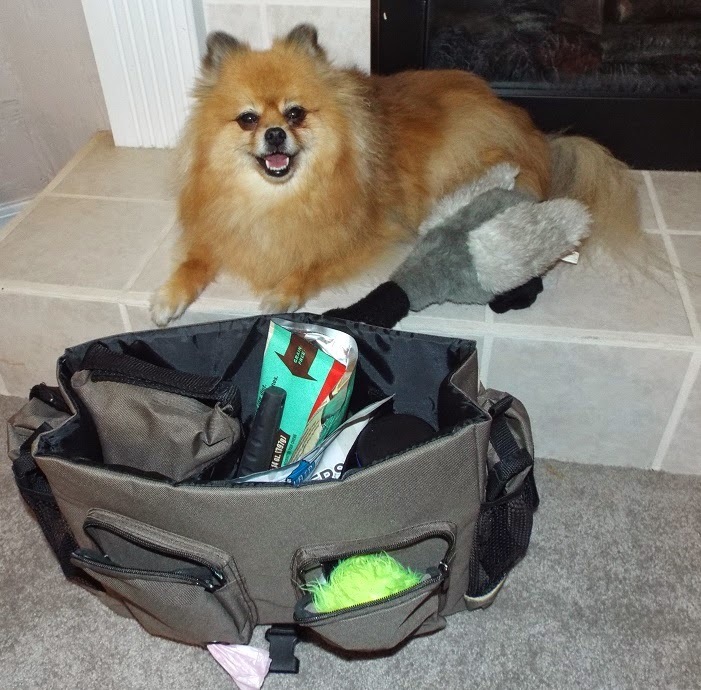 Solvit has a pawsome bag to use for your vacation. The Solvit Travel Organizer holds a lot of stuff in a compact bag. I usually need a duffle bag when I travel, but when I went to Baron's house, the only packable item I didn't put in the Solvit bag was my first aid kit (it has it's own bag). My stroller, carrier, and car seat are large items that I don't pack in a bag. In case you haven't noticed yet, Pom princesses pack a lot of stuff. No one will ever say I am a light packer. BOL!! You can use the dividing flaps to separate the main compartment into 3 sections, or detach them from one side to make one large area. 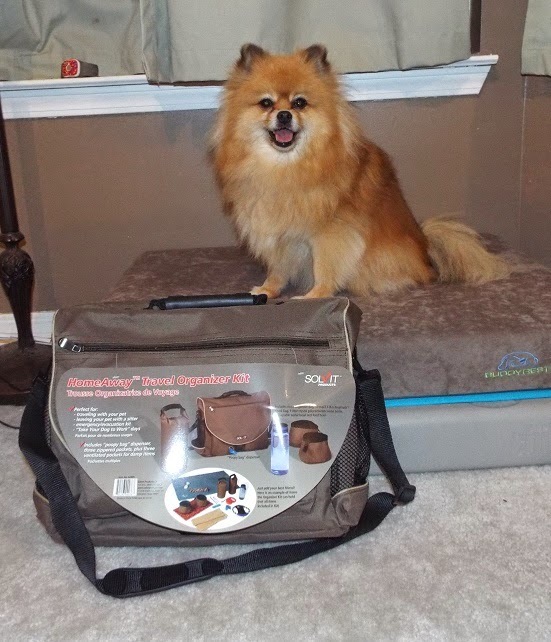 The Solvit Travel Kit includes: Bag, 2 folding bowls, a water bottle, and a food bag. All of my stuff in the above photo fits in the bag, and there is still a little room for more stuff. Because I wear my harness and leash when I travel, they don't need to be packed in a bag. I put the can of food and some treats in the food bag. In the center section I have my food, brush, and more treats. The water bottle is in the 3rd section. I put a toy and little fur trimming scissors in the right front pocket. The folding bowls fit pawfectly in the side mesh pockets. Mom forgot to include my travel size dish soap, sponge, and spoon in the photo, but they fit in the front pocket with the poop bags. The poop bags go in the left front pocket, and I put my big duck toy in the back mesh pocket. My calming coat (plus there is still room for a t-shirt and coat) fit in the front flap pocket. I could put my metal bowls in the back mesh pocket with my duck if I wanted to pack them too. The mesh is breathable so damp items can air out. It is the pawfect spot to put spit covered dog toys and freshly washed bowls. This giveaway is in conjunction with my good pal Oz the Terrier. One reader from Pepper's Paws or Oz the Terrier will win a Solvit Travel Kit! Please enter the Rafflecopter for entry options. Review Disclosure: I did not receive any monetary compensation for this review. I was given a free product to review. The opinions in this review are my own and not influenced by any outsider. Giveaway Disclosure: I did not receive any compensation for this giveaway. Oz the Terrier will ship the prize directly to the winner of the giveaway. I am not responsible for lost/missing prizes. The opinions in this giveaway are my own and not influenced by any outsider. I only ship to USA addresses and you must be 18 to enter. 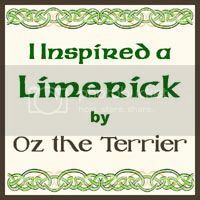 You must leave a blog comment on either this post, or on Oz the Terrier's Solvit post for your entries to qualify. We would use it for taking our dog Daisy fishing. We travel with the dogs a lot to the mountains and the beach- a bag for them with compartments would be really nice! I would use it for when we go on road trips. I would use it for road trips across the country. I'd use for when I go visit my family. This would be nice for when we go on vacation with or dog. 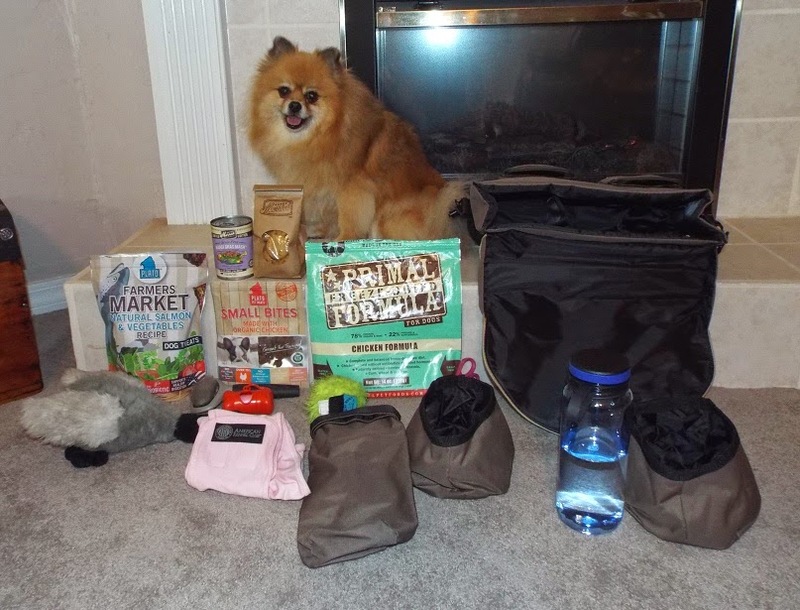 Bark Genie Pet Product Review & BarkWorld 2013 Swag Giveaway! Unless otherwise stated, the following disclosures apply to all review and giveaway posts. 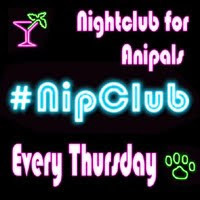 Disclosure: Please remember Mom and I are not a veterinarian or any other type of professional. We would like to encourage everyone to check with their veterinarian before changing any of their pet's medicines, pesticides, or supplements. Giveaway Disclosure: I did not receive any compensation for this giveaway. Either I was given a free product to giveaway, or the company will ship a product directly to the winner of the giveaway. I am not responsible for lost/missing prizes. The opinions in this giveaway are my own and not influenced by any outsider. I only ship to USA addresses and you must be 18 to enter. Disclosure: "This post was written by a Nutro Knowledge Network member and sponsored by the Nutro Company." 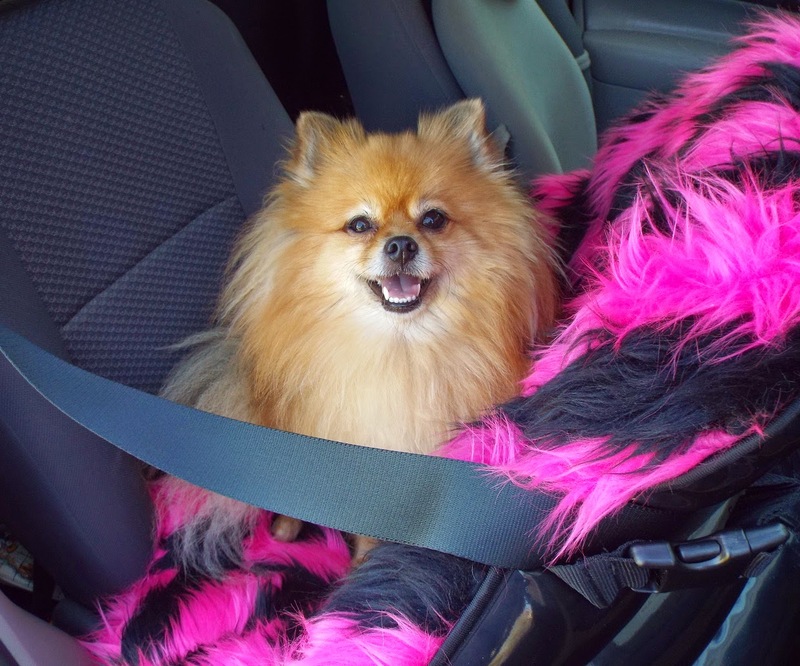 Pet Product Reviews and Adventures by PepperPom. Watermark theme. Powered by Blogger.